We have witnessed a tightening in the race for the White House in recent days. "Markets are now going to have to recalibrate for a coin toss outcome versus what they thought was a sure thing,"
The last week has seen a shift in public opinion in this year's US Presidential Election, with Democrat hopeful Hillary Clinton witnessing a dramatic cut in her lead, followed by some recovery as the party comes to terms with a new FBI investigation into her use of emails. Indeed, Donald Trump saw a groundswell of support in the latest polls, as the Democrats reeled from the news that FBI Director James Comey had sanctioned the opening of a new inquiry to focus on the former Secretary of State's aide and her husband's actions during her time in office. Overall, the latest polls show a significant closing of the gap between the two presidential hopefuls, with Clinton having held a lead of 14 points prior to the FBI's latest announcement, but which had closed to just one point by November 1. With polling across the majority of US states set to be held on November 8, it means the race is now wide open once more. However, president Barack Obama has appealed for calm in the wake of these latest revelations and called upon the American people to set aside their prejudices and base their actions and opinions on the facts at hand. Offering his support to Clinton, he stated: "I do think that there is a norm that when there are investigations we don't operate on innuendo, we don't operate on incomplete information, we don't operate on leaks. We operate based on concrete decisions that are made." The conclusion of the FBI's investigation is now not expected until after the November 8 deadline and therefore voters are being asked to make a leap of faith that Clinton will be cleared of any wrongdoing. However, it is most definitely not an ideal situation that the US public now faces. Moreover, there has been fierce criticism of Mr Comey's decision to announce this investigation with just 11 days until the opening of voting booths, with claims he has tried to influence the election result itself. Whatever the reasoning behind the timing of the FBI's decision, a more troubling aspect of this year's election cycle has been the widespread mistrust of both candidates in the eyes of the public. Trump has courted controversy throughout his campaign to date and with many Americans, his firebrand personality and perceived antagonistic rhetoric has served to inflame opinions both for and against him. Indeed, many high-ranking Republicans have outright refused to give their backing to a Trump presidency that some believe would send the US down a very dark road in the years ahead. Meanwhile, Clinton has herself been dogged by controversy, with the furore created over her use of emails just one aspect of a campaign that many believe has been held back by a more general mistrust of her motives. 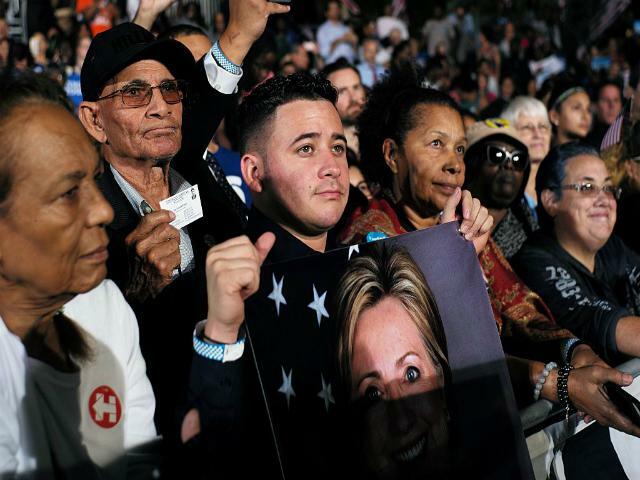 The Democrats do, however, retain a stronger position within their party, with as many as half of supporters for the defeated party hopeful Bernie Sanders now believed to have switched their support to Clinton. All in all, it means no clear favourite has yet emerged that could sweep to office, with the impact of growing uncertainty on the nation as a whole is now taking its toll. All of the uncertainty of this year's tight race between the Democrats and Republicans means there is a growing awareness that the US economy could be the big loser in this whole affair. Indeed, the fallout from Clinton's loss in support over recent days could be far-reaching in the coming weeks, with a renewed sense of optimism permeating the Republican camp that means markets in both the US and overseas have reacted negatively to the growing parity in public opinion between the pair. "Markets are now going to have to recalibrate for a coin toss outcome versus what they thought was a sure thing," Nicholas Colas, chief market strategist at Convergex, told the Financial Times. "That will happen headline by headline and tick by tick until [the election]." Whatever the coming days bring in terms of this crazy and enthralling electoral cycle, what is clear is that the next US President will not be popular with large swathes of the country. At the same time, they will be required to reassure markets both home and abroad that it will be 'business as usual' when the dust finally settles - something that could be far easier said than done.